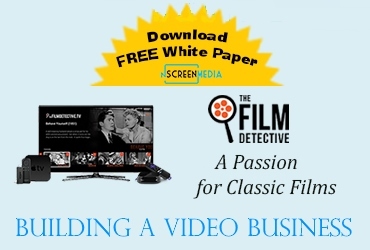 How can an online video provider leverage data to improve business outcomes? In this interview recorded at NAB 2018, BAMTECH Media has some suggestions on how to use OTT video data to save a customer that might be about to cancel service. Barry Tishgart is Senior Vice President of BAMTECH Media. In this interview, he talks about how to cope with all the data to which an online video provider has access. He also has some specific suggestions on how to use the data to boost the success of a video service. The company started life as part of MLB advanced media. The technology was developed to allow Major League Baseball to deliver live games online. Now BAMTECH counts as customers companies such as WWE, HBO, Fox Sports Go, and PlayStation Vue. It also continues to deliver live game from sports leagues such as MLB and NHL. It is also the platform for Disney’s new ESPN+ sports service. In 2017, BAMTECH Media became part of the Walt Disney Company, joining the Direct-to-Consumer and International business unit. The abundance of data is one of the defining differences between traditional television delivery and online streaming. Mr. Tishgart says it is important to make sure a video provider has a solid process and solution to allow them to collect the data successfully. The online video service provider (OVSP) has access to location, billing, and credit card data. The operator can also see user data like what subscribers are watching and which ads they respond. Figuring out what all the data means is a critical step if an OVSP is to make their business grow and succeed. One of the most powerful uses of this mass of data is to figure out which customers are most likely to cancel the service. OVSPs that provide sports league content are very likely to see people leave at the end of the season. However, a subscriber that is reaching the end of a promotional period and is not using the service is also vulnerable. Once an OVSP identifies at-risk customers, it can do something about it. Mr. Tishgart cites two interesting examples. For someone that has decided to cancel, a last line of defense for the operator is the cancellation screen. Placing graphics from a favorite team or show on the cancellation screen reminds the user why they signed up in the first place. Mr. Tishgart says the approach can reduce cancellations by as much as 20%. A service delivering live sports can leverage user data to encourage people to come back. For example, before the beginning of the baseball season, the provider can send a personalized email to past subscribers highlighting some of the significant moves their team has made in the off-season. Targeting past customers in this way can get them excited about the new season and persuade them to re-subscribe. These are just two examples of how an OVSP can use data to improve business results.